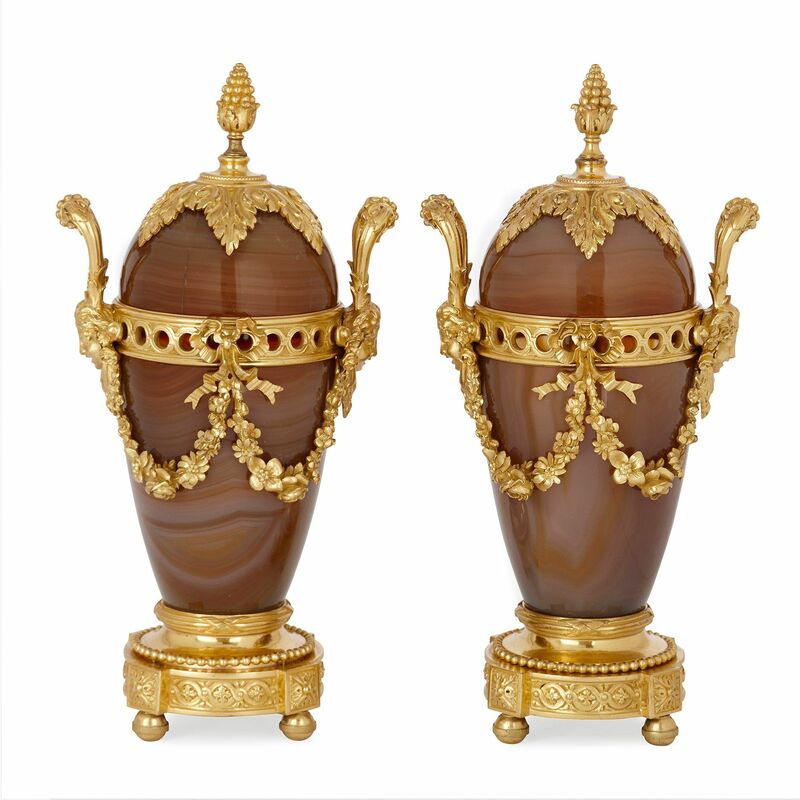 This fine pair of small vases are crafted from agate, a gemstone highly revered for its unique banding, subtle translucency and beautiful colouring. These exceptional vases, which were formerly in the collection of the Astor family who resided at Hever Castle in Kent, make a wonderful pair. Their small size lends them a delicate, jewel-like quality, further augmented by the precious agate which makes up their bodies. 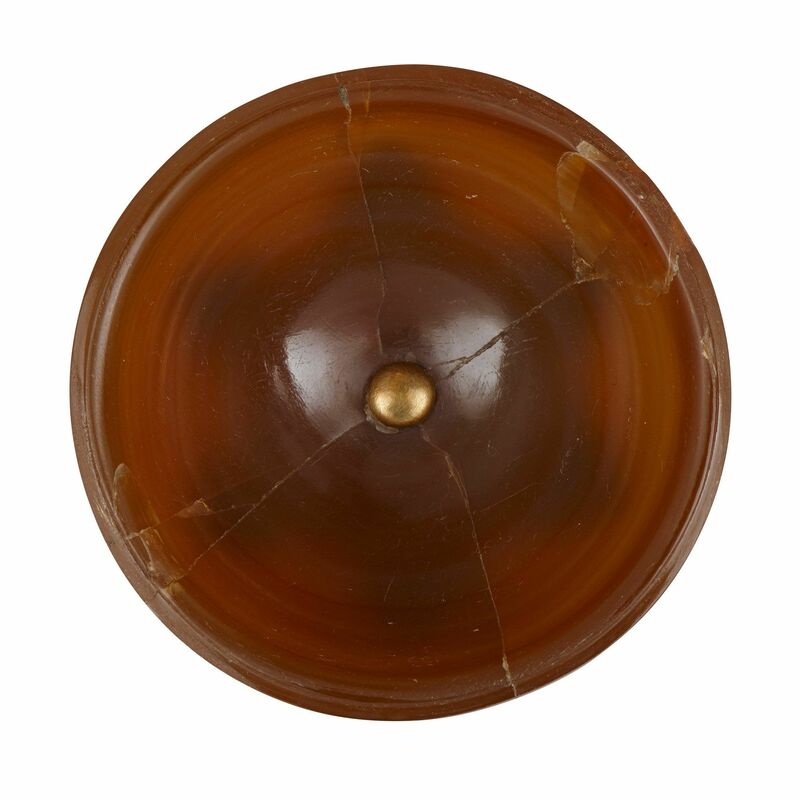 Agate has been a highly prized gemstone since antiquity for its hardness, translucency and banding, all of which give it a beautifully smooth and clear feel and look. 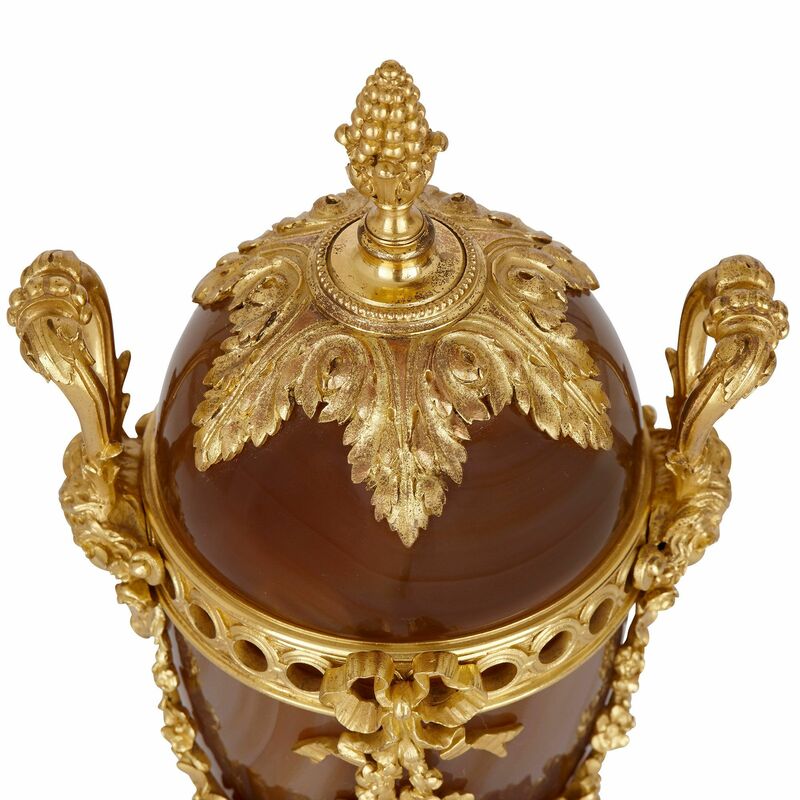 The vases are of ovoid form and have dome-shaped removable covers with ormolu berry finials. They are mounted all over with ormolu decorations, including female mask handles at either side, from where ribbon-tied floral swags hang. 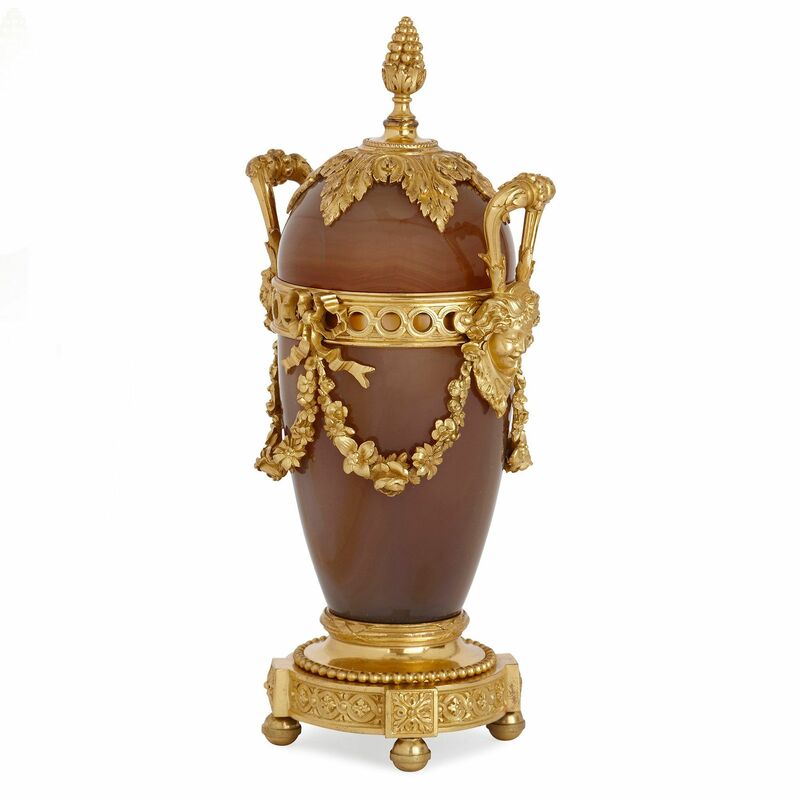 Each vase is also mounted onto a circular beaded ormolu base with bun feet. 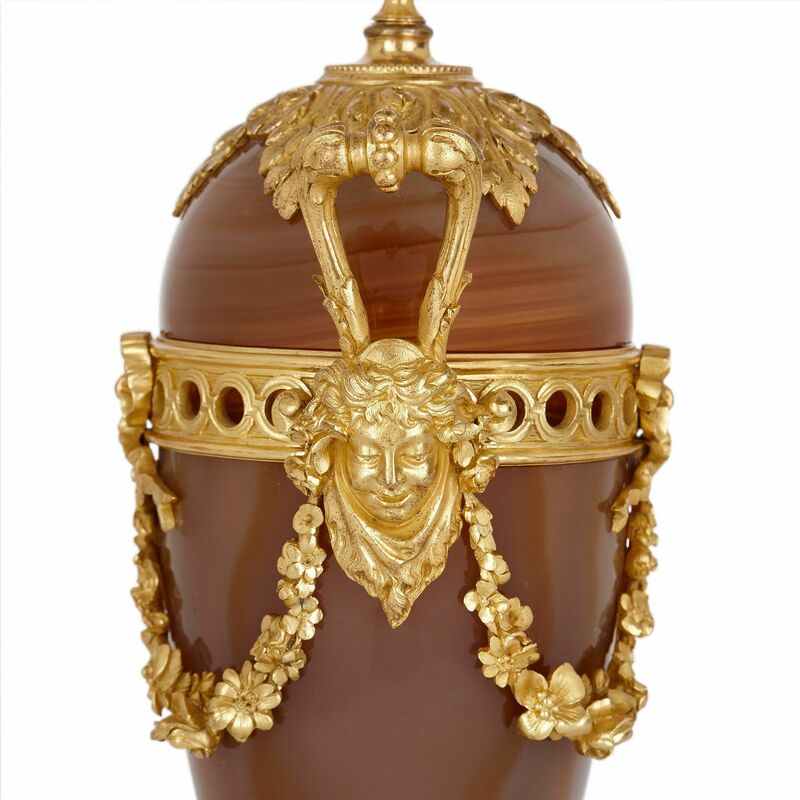 The overall condition to the vases is good, but there is some restoration to one of the lids. 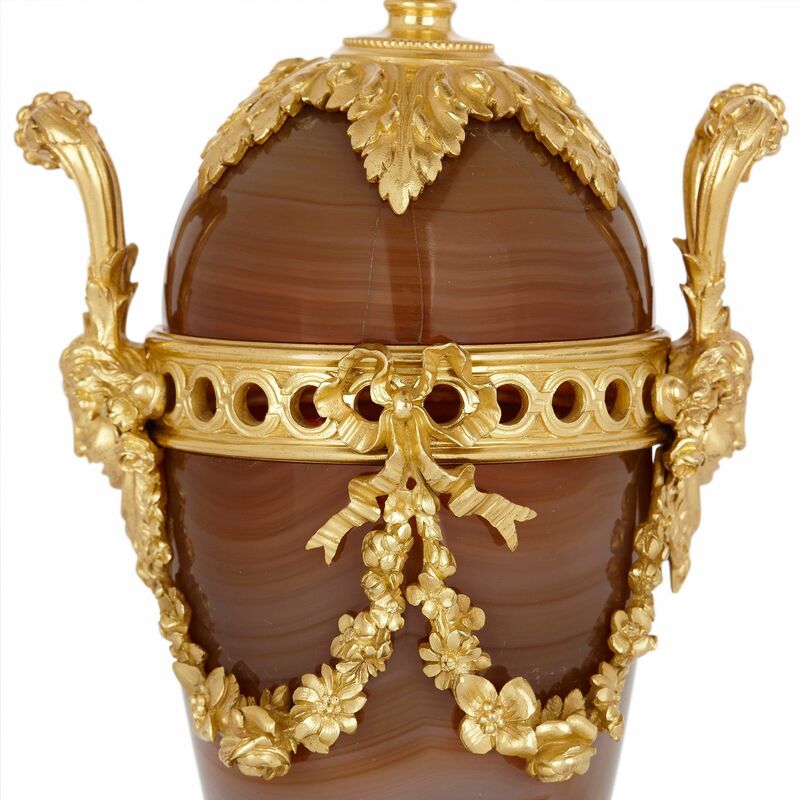 Another pair of agate vases of similar quality and size, and also from the collection of the Astor family, are available for sale here. From the collection of the Astor family, of Hever. The Astor family were a prominent American-born dynasty originally from the Italian Alps, who were influential figures in American history and held great influence over society, business, politics and publishing. Many landmarks in New York are named after the family, including the Waldorf-Astoria hotel. They purchased Hever Castle in Kent, England, in 1903, which was the family home of Anne Boleyn, the second wife of King Henry VIII of England. John Jacob Astor, 1st Baron Astor of Hever purchased the English newspaper the Times in 1922, and remained chairman until 1959 when his son took over.